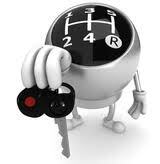 Improve your career prospects - Get your life into Gear! Ilkeston-Langley Mill-Eastwood-Kimberley-Nuthall-Kirk Hallam and surrounding areas-etc. © 2019 langleys driving school – ilkeston,Heanor,Eastwood, Kimberley,Kirk Hallam, Nuthall, Langley Mill etc.